Here it is. 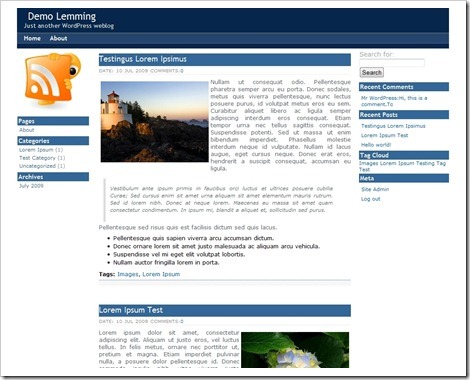 The first WordPress theme released here is called Lemming, it has 3 columns, with two main colors: blue and white. It’s a simple theme, without too much graphics, so it should have a faster loading time. It’s widget and gravatar ready, with threaded comments. 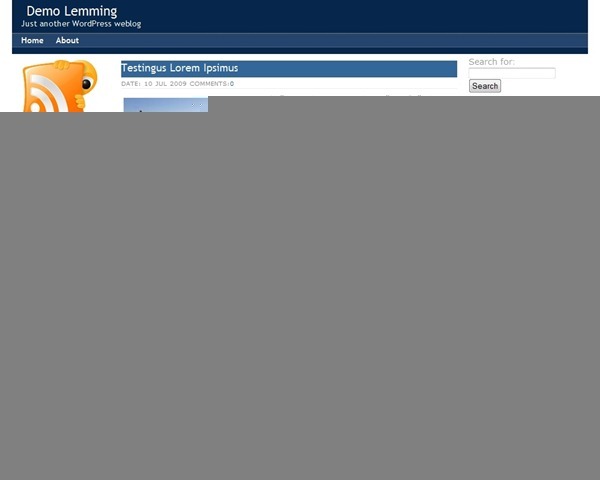 The theme is released under GPL license. Update: the theme is no longer available. It wasn’t updated in a long time (5-6 years), so there are a lot of things missing in it. I want to try it out, but will need things in Dutch. Is there any chance you will be offering localization soon (i.e. a .pot file)? Hi Milly. Sorry, no plans for localization right now. Hi, I love your theme, usin’ it on my blog. Only problem I have is comments no showin’ on pages. I’ve checked the code, but can’t find out where to fix this.